Road rage is the theme of this week’s event mode where fuel and fire are king. In Crash Carnage, no firearms spawn so you’ll need to focus on melee weapons, throwables, and of course your driving skills to carry your duo to that final circle. Circles move considerably faster in this event, so loot quick, grab a vehicle, and crash your way to road warrior glory. 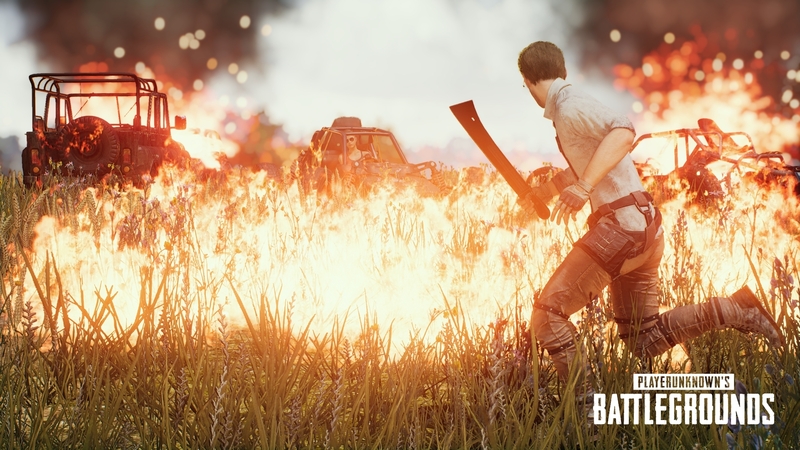 Teams of duos will fight in Erangel. Up to 100 players can join. Land vehicles, with the exception of motorcycles, will spawn throughout the map. Firearms will not spawn; instead, melee weapons, throwables, consumables, and other gear will spawn. Blue Zone will move faster than usual, especially the first Blue Zone. The first Safe Zone, and the center point of the final Safe Zone, will be indicated with a flag icon on the minimap. Pre #22 patch: ping 50. Ping never went under 280. Any explanation? My ping is 350-400. I can not play. However, I like the mode. Ping never went under 280﻿. Any explanation? Sometimes kinda hard to find a vehicle.. I said it before and i'll say it again, i wish you could have the option tho choose theese events all the time even though it's probably not possible. I'm from SA (South America) and always get AS servers (300ms+). This Event is so fun, but unplayable with this ping. Region Lock doens't work for Event Modes, add some Ping Lock or something like that. Did u play to this event?? Please add this to xbox next!